Wreaths made of coffee filters look unusual, tender and very attractive, offering creative, interesting and inexpensive home decorations for any room. 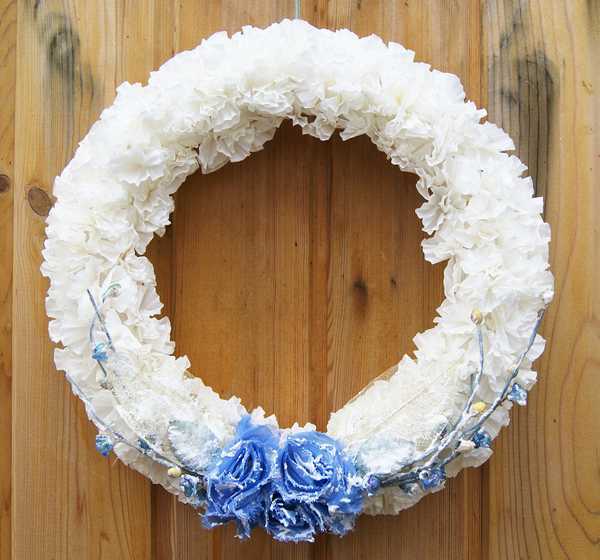 Coffee filters wreaths are light. These decorative accessories can be used for fantastic wall decorating, also they look wonderful on doors and windows. Handmade wreaths are a way to wake up your creative spirit and design unique decorative accessories for your home. Wreaths, made of coffee filters, look fantastic featuring artfully arranged coffee filters and colorful ribbons. These wreaths are easy to make and cost just few dollars. You can add a tender color to your paper wreath design with coffee or tea, or color coffee filters bright colors for adding stunning home decorations to your rooms. 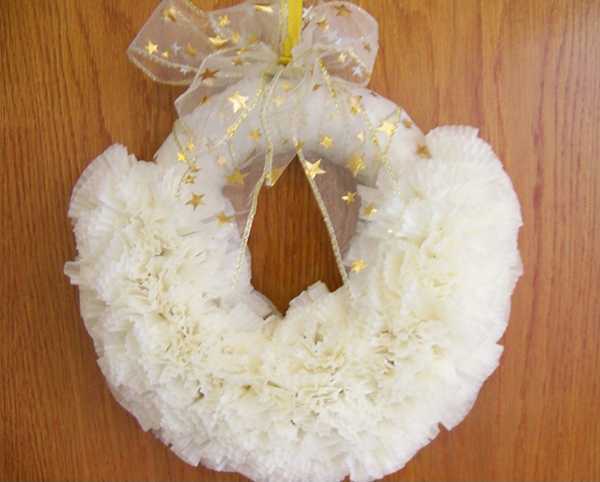 White and black or colorful wreaths made of coffee filters are beautiful. 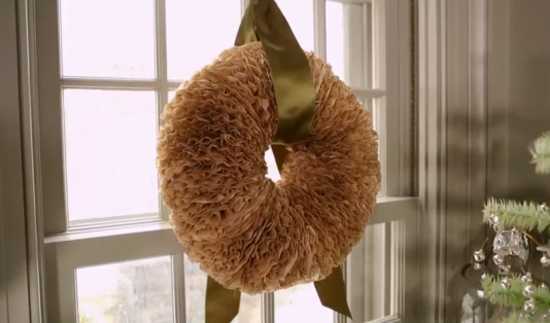 Here are few gorgeous ideas for making wreaths with coffee filters. Lay coffee filter out flat. Fold each filter in half, then in half again. Hot-glue a layer of filters to the wreath base, separating each filter by about half an inch and fluffing coffee filters out for better look. Then glue a second layer of coffee filters along the base. You can adorn the wreath with a colorful ribbon or paper flowers made from wallpaper, cardboard or holiday cards. Pine cones and short branched with berries, beads and fall leaves are excellent materials for wreath decoration. 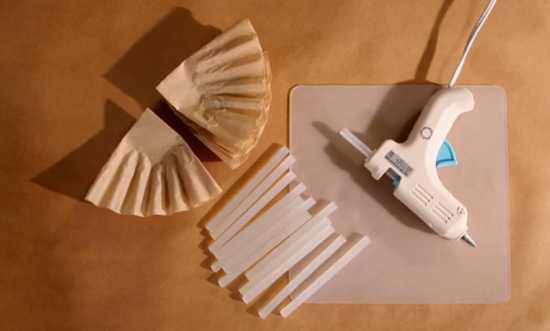 Glue them to the wreath, and hang your wreath made of coffee filters with a ribbon.